Last Saturday Deputies Gibson and Hoppes visited young Jacob at his birthday party. They came bearing goody bags and gifts for Jacob. 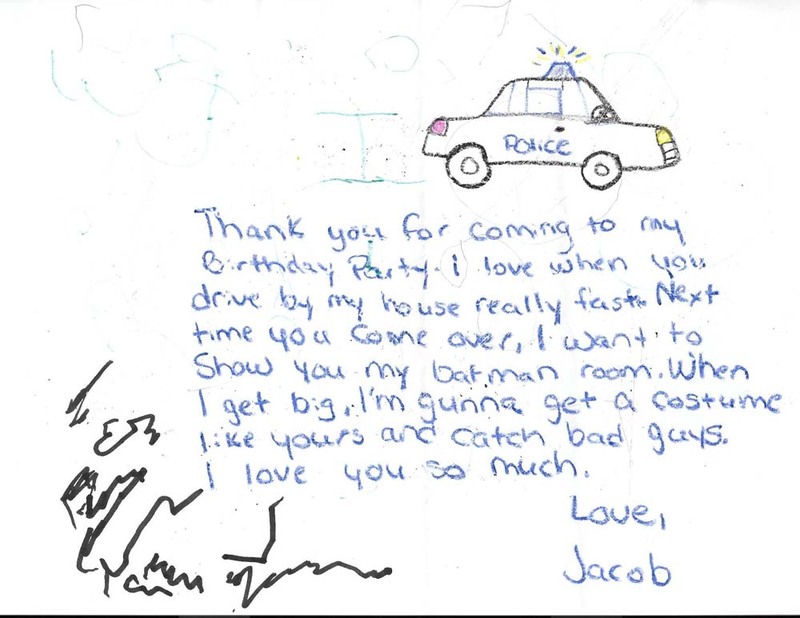 It all started when Jacob’s Grandmother called the Bedford County Sheriff’s Office and mentioned that her grandson loved watching the deputies on the road and could spot any police car, even the undercover ones. The Bedford County Sheriff’s Office got some goody bags together for the kids at the party and got a gift for the birthday boy. Today we received a lovely thank you letter from Jacob. You are very welcome, Jacob! I hope your birthday was wonderful!